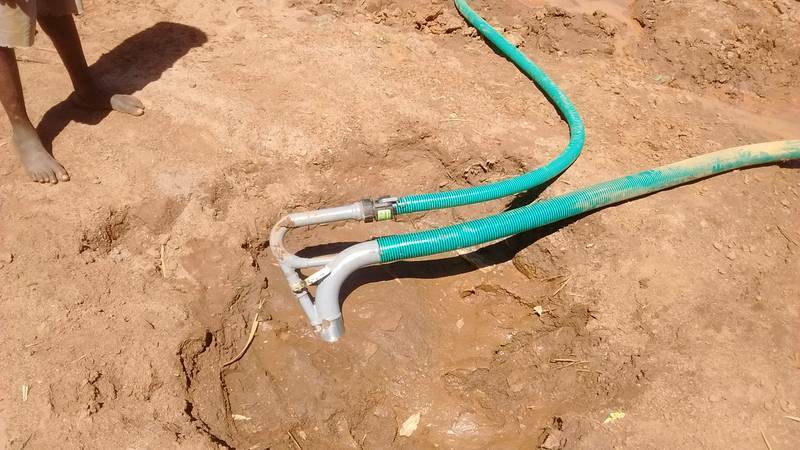 The hydro-nozzle is being tested on the sand beach in Uganda. Fine gold and fine mercury was found in the beach. Too many people were there over few last years washing both gold and mercury particles. River is thus polluted.